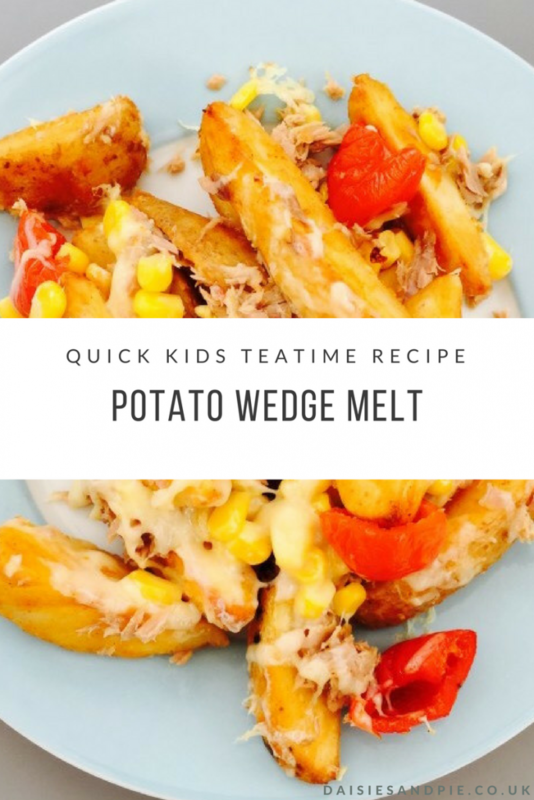 Potato wedge melt, hardly a recipe but totally delicious and ready in under 20 minutes which is pretty perfect when you want a really quick and cheesy meal. This is a cheat dinner so we’ll be opening some packets! It’s simple and quick. 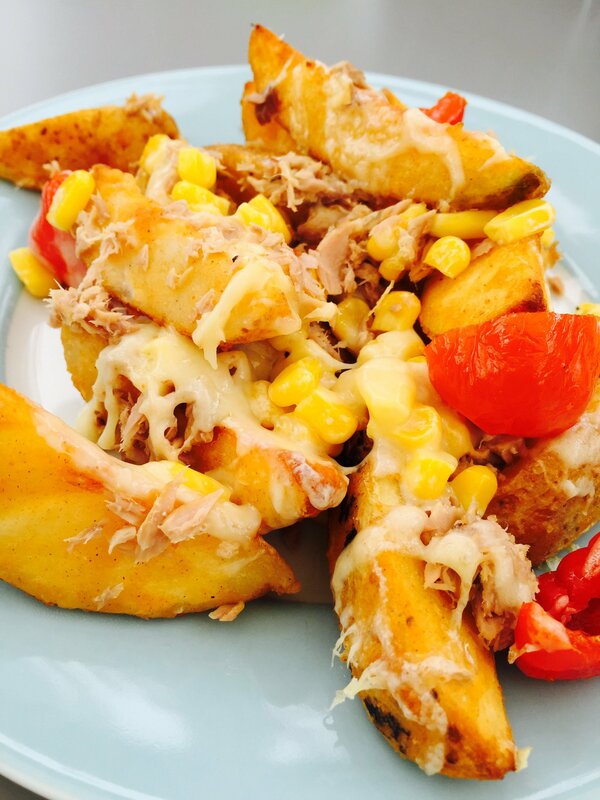 Just cook a packet of frozen potato wedges and once they’re cooked flake over a couple of tins of tuna, a tin of sweetcorn, a jar of mini peppers and a good few handfuls of grated cheese. Return them to the oven until the toppings warm through and the cheese melts deliciously over the top of it all. I serve this with a big green salad and usually some BBQ baked beans on the side too. A good store cupboard meal that will feed a family and is ready in minutes. Quick and easy stand-by family meal. Cook the potato wedges as per the packet instructions. Once cooked remove from the oven and flake over the tuna, scatter over the sweetcorn and peppers then top with the grated cheese. Return to the oven and cook for a few minutes until the toppings have warmed through and the cheese melted. Serve with a salad and baked beans. Top with leftover chilli (beef or veggie) or strips of ham. Add onion wedges or courgettes.